Paranormal activity isn’t easy to find or witness if you don’t know where to look. Even when you do know of a place with a spooky past, finding a ghost comes down to luck most times, which leaves people skeptical. However, when a story is passed down, being told countless times, something paranormal has to be going on. 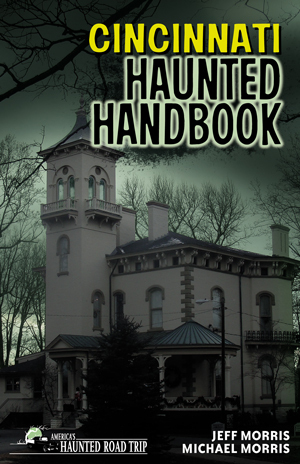 Below are several places in Cincinnati said to be haunted, all (+97 more) are featured in the book Cincinnati Haunted Handbook, by Jeff Morris and Garret Merk. Cincinnati Museum Center: In the early 1990s, the center was experiencing theft of computers. A single security guard name Shirley was hired to catch the thieves. One night, she found the thieves on the fourth floor and was shot dead. Her body was later discovered in Northern Kentucky. She is said to still roam the halls of the Union Terminal. Many of the housekeepers will not walk alone after closing, and the sounds of locking doors and footsteops can be heard when few people are around. Also, a ghostly pilot is often seen in the museum in the airplane from World War II. Occasionally, you can hear people crying and welcoming back soldiers on the tracks. Cincinnati Museum of Art: Security guards have often reported seeing a 7-foot tall specter with no human features rise up from a mummy sarcophagus and go straight through the ceiling. The specter is seen coming through the ceiling whenever entering a room. When guards would take a nap in the storage room, they would wake up to a glowing face hovering inches away from them. Some guards claim that the specter blocks their way as they attempt to maneuver around the storage room. Many security guards have quit, reporting the same story. Eden Park: The apparition of a woman wearing a black dress has been seen standing by the gazebo near the park’s lake. The woman is thought to be Imogene, the wife of famous Cincinnati bootlegger George Remus. Remus killed his wife in Eden Park after she filed for divorce.